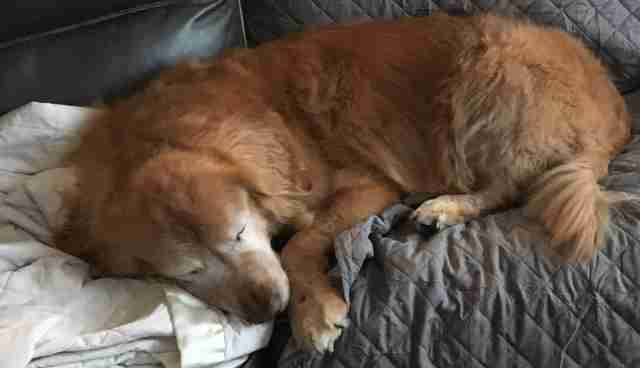 At 11 years old, Charlie is very much a senior pup — but nowadays, his heart is fuller than ever. 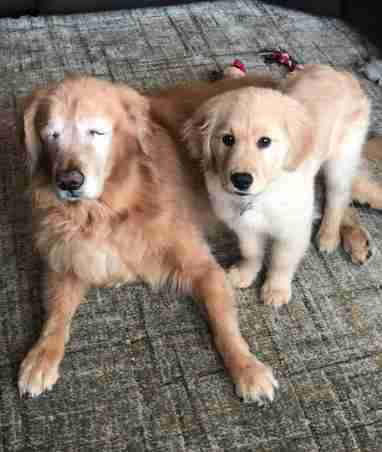 A few years back, Charlie’s world went dark after he had both eyes removed as a result of glaucoma. He seemed to cope with the sudden change quite well day to day, though he nevertheless began to slow down and be less excitable. Recently, however, Charlie’s spirit has blossomed anew in the light of a new love. Charlie’s adoring owners, Chelsea Stipe and her husband, could tell he was still a happy dog, but suspected he’d benefit from having a canine companion in his twilight years. And they were right. 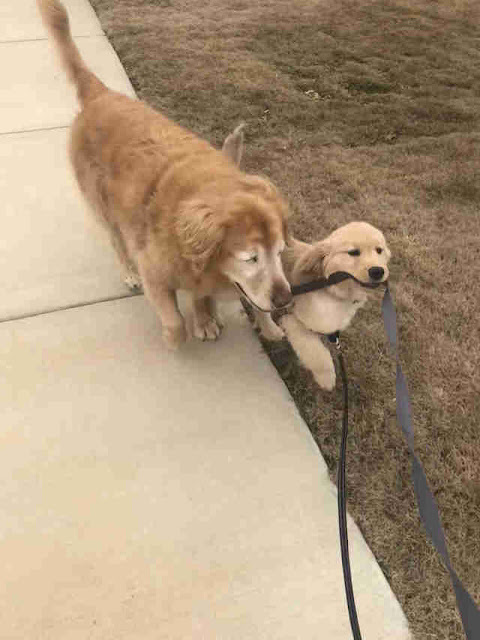 After bringing home a puppy named Maverick, everything about Charlie began to change for the better. 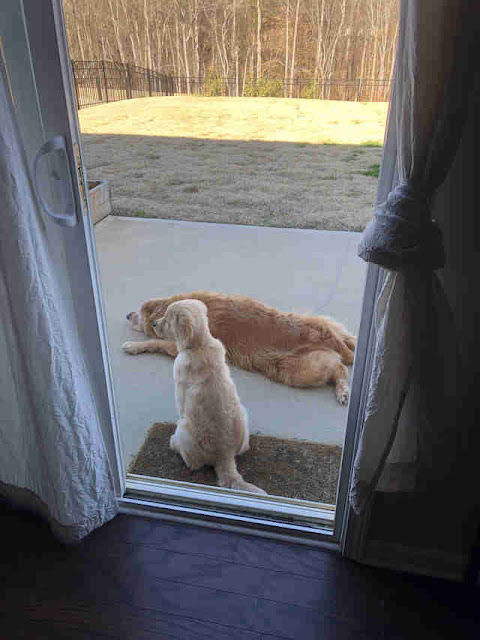 The two dogs quickly became inseparable friends — the younger’s energy and enthusiasm seeming to inspire the same in the older. 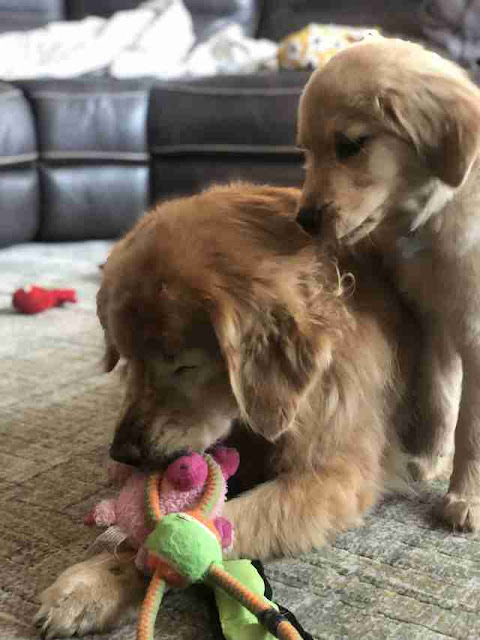 Maverick may only be a few months old, but he seems to understand that Charlie is experiencing the world without the sense of sight, and has adapted to help him with that limitation. 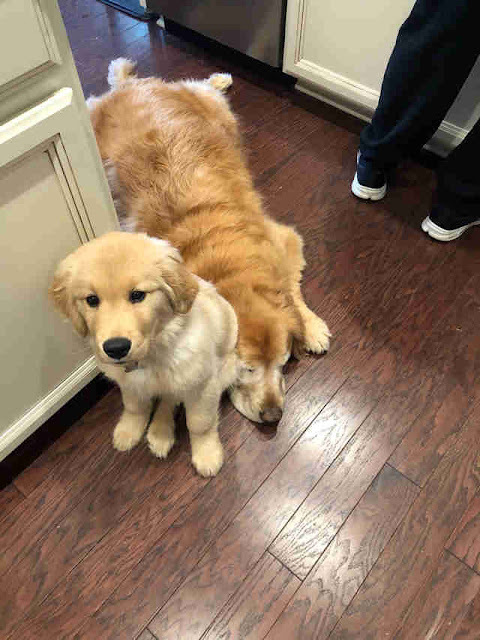 Maverick will often rest alongside Charlie, too, as if just to reassure him that he’s not alone. Charlie and Maverick may be different, but it clearly hasn’t hindered their friendship. If anything, it’s made it stronger. Nothing could ever completely turn back the clock on Charlie’s life, of course (nor, given all those happy years, would anyone want to). 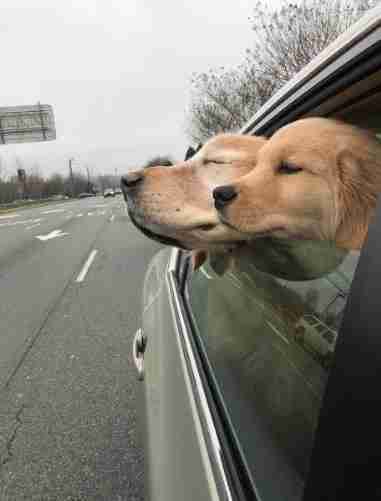 Maverick, instead, has shown that joy and happiness still lie ahead on the road they’re now on together. Donate. The work of International Animal Rescue is funded entirely by public donations. Your support is vital if we are to make a lasting difference to animals' lives. Your gift today - whatever sum you choose to give - will help us save animals from suffering and give them the expert treatment and care they need.